In 1977, Dennis Slater had a passion for building homes, a desire to run his own business, and an opportunity to make his mark in Saskatoon, so he founded D&S Homes and built his first home at 265 Assiniboine Drive. He funneled the proceeds from the sale into his next project, and D&S was under way. From the beginning, D&S - “Dennis & Sons” - was a family affair. 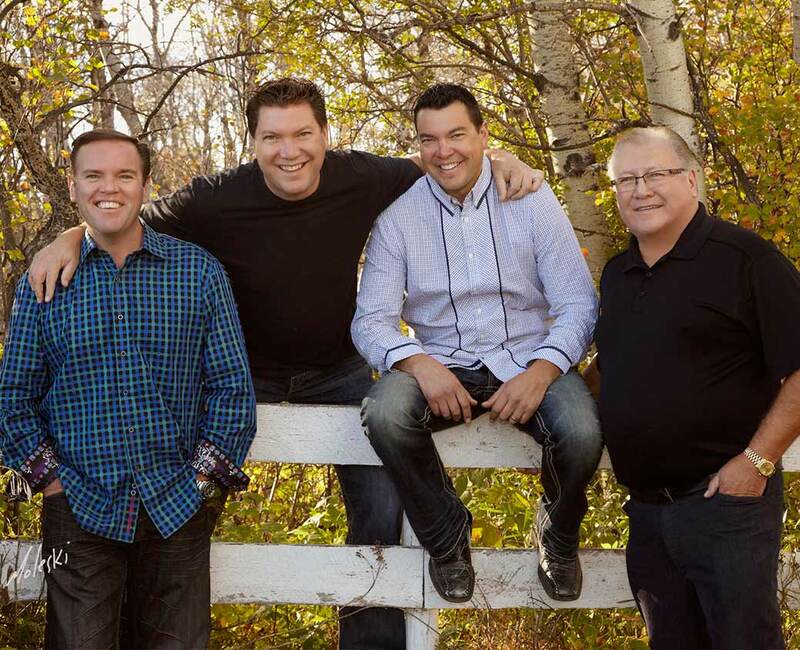 Youngest son Troy was tasked with land development, Derrick became the on-site foreman for all home and building construction, while oldest son Duane took on the role of new home sales manager, until his passing in June 2017. Our company has always been focused on the family, from a management point of view down to the style of homes we build. Simply put, we’ll build homes for your families with the same care, quality and attention to detail that we put into homes for our families. In 2007, we decided to branch out to Regina, and acquired land for our first subdivision - Stonepoint Estates - which quickly sold out. Our latest offering is the spectacular lakeside community Spruce Creek Estates, just east of Regina. In 2011, we acquired the Greenbryre Golf & Country Club, and redesigned the course to make room for Saskatoon’s newest luxury housing development, Greenbryre Estates. All told, we’ve built over 800 homes in Saskatchewan over the last 40 years, and business is better than ever. Times have changed, but our commitment to customer satisfaction and our strong family dynamic hasn’t. Dennis Slater & Sons. (right to left) Dennis, Troy, Derrick, and Duane. D&S can build your custom home in more neighborhoods than any other builder in Saskatchewan. Other builders own lots here and there… D&S owns lots practically everywhere, including the most exclusive and luxury communities, like Greenbryre Estates in Saskatoon and Spruce Creek in Regina. Why limit your choices when you can live anywhere? Some builders specialize in luxury homes. Others build low-budget homes. At D&S Homes, we don’t distinguish between them: we look at every project as an opportunity to build a structure to the highest standard of quality - the only difference being that smaller homes take less time to build. We’ve built Saskatchewan’s most expensive dream homes… as well as starter homes for just $300,000. With great expertise comes great versatility! We don’t have an A-team that works on the most expensive projects and other teams to work on the rest. When you commission a D&S Home, you get the same great craftsmen on the job. While materials may vary according to your budget, the skill, expertise and attention to detail in their application remains the same - so you get the same great quality, regardless of price. We are a true custom homebuilder. Typically a new D&S homeowner will select a floorplan and customize it according to their needs - expanding a living room, adding rooms, adding a bigger deck or screened-in area. In other cases, they may bring in architectural plans for their dream home, photos of houses they like - or houses they’ve lived in before - or even just a sketch on the back of a napkin! No matter what your starting point, we’ll make your vision materialize, down to every last detail. At D&S Homes, we build energy-efficient homes that reduce our environmental impact. From energy efficient gas furnaces to engineered hardwood flooring, we integrate green features into every home. You can make your home even more environmentally friendly by customizing it with a wide variety of sustainable products. While energy-efficient features vary, D&S homes can be up to 30% more energy-efficient than the average existing home, bringing you more comfort at a lower cost. High-Efficiency HVAC Systems provide better comfort and enjoyment of your new home. Programmable Thermostats control energy usage by helping you regulate your home’s temperature according to your schedule and needs. High-Efficiency ENERGY STAR® Appliances help keep energy and water usage lower to reduce waste and manage utility costs. ENERGY STAR® Triple-Glazed Windows have a special coating that reflects infrared light and keeps heat inside during winter and outside in summer. LED Lighting reduces energy usage, generate less heat and last at least 5X longer than conventional bulbs. So you’ve decided to build with D&S Homes… now what? 1. The first step is to complete the form to the rightbelow, and we’ll arrange an appointment between yourself and a D&S sales representative at the showhome in your preferred community. 2. At that meeting, you’ll explain what you are looking for. If you’re not exactly sure, we have a wide range of floorplans to choose from. 3. Then, we’ll bring in a staff draftsperson to customize the floorplan to suit your desires. 4. With all the variables nailed down, we’ll price out the building plan and determine a possession date. 5. If you haven’t approached a lender to apply for a loan, now is the time - or let our mortgage broker help you find a solution tailor-made to suit your needs. 6. You sign off on the plan, and we get to work. 7. Next stop: personalizing your options. Visit our suppliers to select flooring material, countertops, paint colors, cabinet styles, door styles, lighting and plumbing fixtures, appliances and everything else. 8. You’ll receive regular updates from your project manager. In addition, you can check our progress online at any time. 9. Your project manager will inspect the building daily. Additional building inspections will occur after the foundation is laid, after framing, after insulation and poly, and at the end of construction to ensure everything is up to code. 10. Finally, we’ll take you on a walkthrough of your new home. When everything meets your approval, you’ll take the keys. Dennis has been building new homes in Saskatoon and its surrounding communities for over 40 years. Dennis prides himself on impeccable attention to architectural detail and design. He knows the importance of not just selling you a house, but building you a home that can be cherished for a life time. Duane is a second generation builder with a passion for creating beautiful new homes and a reputation for unparalleled customer service. Duane prides himself on listening to client's needs and completing projects on time and, more importantly, on budget. He specializes in building homes in Saskatoon and the surrounding areas and is extremely knowledgeable in the understanding of today's complex regulation requirements. Derrick is active in all areas of home construction with D&S Homes Ltd., and is particularly involved in the day-to-day on-sight operations and field supervision of the company. He coordinates the scheduling of subcontractors and organizes the construction process from start to finish at each home site. Troy takes pride in knowing that as an industry leader, D&S Homes Ltd. surpasses the competition in setting new industry standards. He draws upon his experience as well as an extensive network of designers and suppliers to ensure that D&S Homes Ltd. have the most desirable layouts, finishes and features as well as the latest in home systems to support today’s lifestyle. Troy is committed to developing areas from start to finish, helping building communities. Dale is the home estimator and take pride in getting the best price possible for our clients. He ensures that the highest standards are achieved and maintained in accordance with quality assurance policies and that all legal specifications are adhered to. D&S Homes Ltd. is happy to have Steve as their project manager. Steve is responsible for making sure the construction sites are running smoothly and efficiently. Our customers find Steve extremely personable and helpful, which helps D&S Homes Ltd. maintain its high level of customer service. Blair is a valuable addition to our team who handles all of the accounting for the company. The main role is assuring that budgets are accurately developed, costs are properly coded and we are building within the budget parameters benefitting both the buyer and the builder. Kim is an excellent addition to the staff at D & S ensuring a welcoming first impression to all who call. She provides office services by implementing administrative systems, procedures, and policies, and monitors administrative projects. In her efficient and competent manner, she will assist you anyway she can. Melissa is a great addition to D&S Homes. She is responsible for providing financial order to ensure effective, efficient and accurate financial operation. She processes and monitors payments and expenditures and prepares and monitors the payroll system.